Designed for free-and-independent cruise ship passengers that are seeking high-quality and great-value shore excursions. We are offering you three different packaged tours that would normally be offered and done separately. Choose how much you want to see and how much you want to spend by your selection of options. These activities were selected because they are some of the most popular things to do when visiting Townsville. Comment: This is a detailed 2-hour tour that is full of information about Townsville's past, present and future. 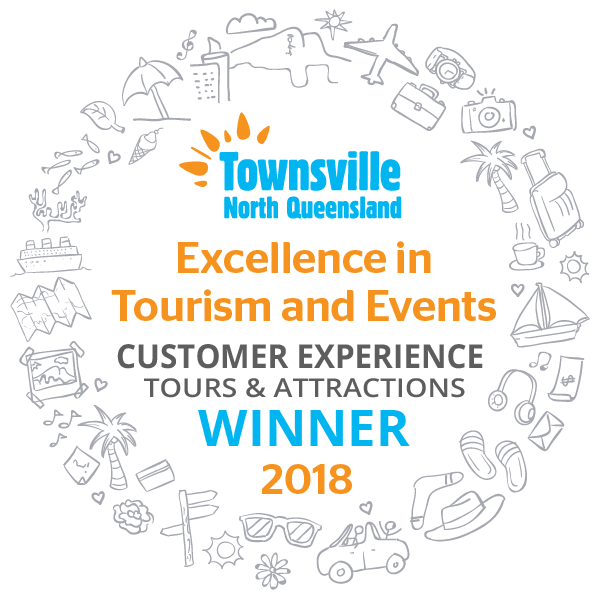 If you are curious to know about this place you have travelled so far to visit, then this tour will inform you and show you the most scenic of city sights as well as educate you on what makes Townsville tick. Comment: After dropping those who wish to finish for the day back to the cruise ship, we then travel out of the city to Billabong Sanctuary which is located around 15 kilometres from Townsville. This is a wonderful animal sanctuary that shows many of Australia's unique animals in their natural bush environment. There are regular scheduled tours that explain the animals and their behaviour. This experience is very popular with our visitors. Comment: After dropping those who wish to finish for the day back to the cruise ship, we then head over to King Street where two great Townsville attractions sit side by side. 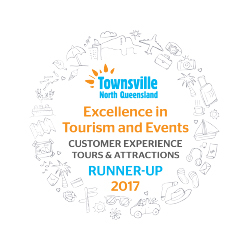 We give you the option of which one you want to experience during the last part of what is a fantastic day out discovering Townsville. You are provided with an introduction tour followed by ample time to discover the rest of the attraction. You will then be taken back to the cruise ship. There are very few places in Australia where you can experience the best of both Australian land animals and marine animals all in one day. This tour represents great value for money as all your entry fees are included. Most cruise ships dock before 8am with most shore excursion departure times before 9am. You have approximately 1.75 hours at each major location visited. All tour groups are small in size, with a maximum of 12 people in one vehicle. Private tours are available but cost more. Quotes can be obtained and the tour fully customised - please contact us to discuss. These tours only run on days that the cruise ships are visiting Townsville, or by private tour arrangements.